The 4-H program is backed by research that finds that 4-Hers are: 4 times more likely to give back to their communities, two times more likely to make healthier choices, and two times more likely to participate in STEM activities. It is all about growth, learning, and development that takes place outside of the classroom and about making the best better. 4-H is dedicated to learning and understanding how its programs help youth become respondsible citizens leading healthy and productive lives and discovering critical science-focused innovations. Please note that 4-H Youth Development is open to all youth and not only those who are in traditional 4-H Clubs. 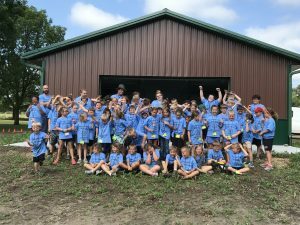 For staff training, afterschool resources, or more information about any of the above, please contact Sarah Tanis, the 4-H Program Coordinator for Jackson and Trempealeau Counties at sarah.hoffman@ces.uwex.edu or her office number at 715-284-4257 ext. 505. Please note: Email is the best way to reach Sarah, as she works out of both Jackson and Trempealeau County UW-Extension Offices.